So the Face of the Buddha is a work of Art in itself -- to teach themes of non-violence and happiness to people. 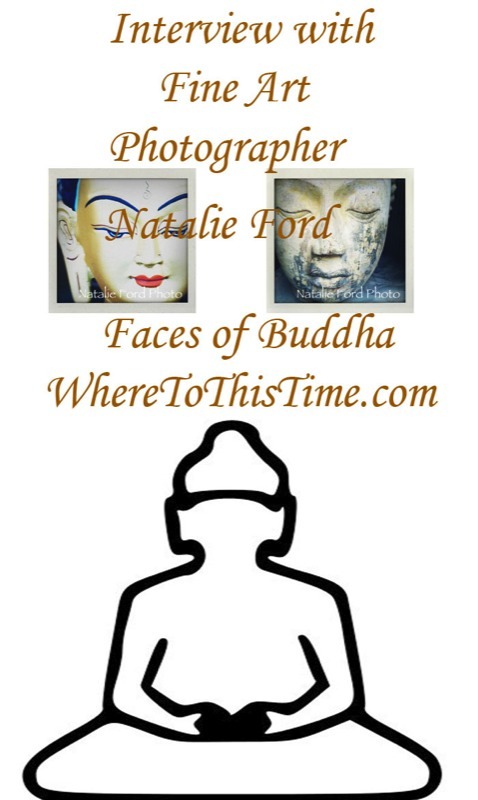 Natalie Ford's Photography: looking at the Face of the Buddha, is therefore a doubly important work of Art, and we are honored to have it here." On your website, you mentioned that your passion for Photography has been life long, when did it become a career for you? I picked up my first camera when I was about 8 years old. I was immediately enchanted and have been shooting photos ever since. I won my first photo contest in 1999, for a "street" photo I called "Afternoon Tattoo." My passion for Photography has bridged into a career more than once in my life. Back in 2001, I was shooting portraits and lifestyle shots with an old Nikon Film camera and loving every second of it. And then something crazy happened - photography went digital. As I am not a "computer-savvy" person by any means, I stepped away from the business for a while. Then my life became busy as I pursued a different professional career focus. (Natalie is also a well-known Acting and Directing Coach). In 2010, I moved from LA to Manhattan and was surrounded by movement, creativity, and inspiration. It was then that I decided to revisit Photography on a professional basis. After careful consideration of the age-old question (Nikon or Canon? ), I picked up the Canon 6D and have never looked back. I love shooting images with this camera. It is incredible. As an Artist, I am inspired by the vulnerability and beauty of Emotion, and I am moved by the way Photographs capture sensitivity. The deep truths of Photographic images are raw and pure. Photography is a delightful way to express and document the essence of life and its true meaning -- it captures that one split second of time that will never occur again…but is always honored by the image. I am deeply touched by the way my Collectors fall in love with their "Faces of Peace" Buddha Photographs. The Images actually become an integral part of their homes. Collectors have mentioned that the longer their Buddha is on the wall and shares space in the room, the more connected to it they become. The Buddhas carry a contemplative energy and warmth that becomes tangible and real. These Faces represent age-old truths, sensitivity, compassion, kindness, strength, and meditation. What do these Photographs mean to you personally and what do you hope to convey to those who attend your exhibits or visit your website? The Face of the Buddha has always attracted me. The Buddha is a prevalent symbol in so many different cultures and countries, and yet it seems to represent the singular message: Peace. I sit with these Buddhas for a long time as I shoot them. I can sense and feel what they are communicating to me and try to capture their essence with my camera. A big part of the joy of this project has also been giving the Buddha Faces their names. To do that, I need to meditate on their aura, their message. On my website, (www.NatalieFordPhotography.com) I include quotes, poems, and sacred philosophy that refer to the message of that particular Buddha's energy. Integrating my love for poetry, philosophy, and photography has made this combination of creativity and this project deeply special and personal for me. I meditate and believe strongly in the power of meditation and reflection. As an Artist, I believe that it is an essential element to grounding and creating. For me, the spirituality of Photography is connected to the belief that we are all connected Beings and that the beauty of Emotion, Vision, and Compassion speaks to us all - through Art. On the Tibet House U.S. site for the exhibit, there's a note that the photographs have been taken from all around the world, how did you choose these particular Buddhas? It was an honor to show the photographs at the Tibet House, NYC. It is a beautiful, sacred space where people come to meditate, study, and appreciate art and culture. It is owned by the Dalai Lama, Robert Thurman, and Richard Gere. The "Buddha of Serenity" was sold at auction at Christies, NYC, and I had the chance to talk to the Collector candidly. She did not originally know that I was the Photographer. She told me that she felt deeply connected to the Image and that no matter what, she wanted that Buddha in her life forever! It's really exciting for me as an Artist to see peoples' reactions to the Faces of the Buddha. Everyone is drawn to a different one, and passionately so. When my Collectors fall in love with a photograph, they fall deeply in love! How did the series on the Buddha come about? How did you decide to focus on the faces of these Buddhas? "These are not just tears. I had been looking for a Series to focus on that touched my Spirit and inspired me. I was on deeply moving Self-Reflection Retreat in Ojai, California, (soulfully led by dear friend and teacher, Daniel Stewart), and was feeling particularly sensitive, meditative, and creative. The "Buddha of Compassion" was silently sitting there on the grounds of the retreat garden. He was crowned by a gentle waterfall, and the water cascading over him created tears. I felt that he was illustrating deep and silent compassion. I shot photos of him, and after encouragement and support from my dear friends and family, the Series was born. After I shot the "Buddha of Compassion" I began to see Buddhas wherever I went. On my travels…and in my own neighborhood. And, although I love to travel, I did not plan my travel to different countries in order to find the Buddhas: instead I discovered that they came to me. Can you tell us some of the places and exhibits that people would be able to visit? What I have found to be the most beautiful lesson while shooting this series, is that no matter where I travel, the Face of the Buddha is present, and sometimes in the most unlikely of places. During my travels to the Montmarte district of Paris, I encountered the "Ancient Buddha," and was deeply captivated. He resonated strength and wisdom. He is a Bodhisattva that has been on Earth since the year 1279. Sitting quietly by Le Musee de Montmarte, I felt honored to shoot him. So powerful. So colorful. His face, as is the case with most of my Buddhas, has not been retouched at all. The blush orange is his true color. I find Him magnificent. in Meditation upon the Dewdrop." One cloudy afternoon on Neal's Yard in London, I was enjoying a delicious vegan desert at Wild Food Café, and met the stone white "Buddha of Meditation." He was holding court in deep silence and grace amidst the very trendy, active, and colorful Covent Garden! there is a Journey Home." I saw "Chelsea Buddha" from the corner of my eye as I walked past a modern furniture store in Mid-town Manhattan, Chelsea. I was in a hurry to be on time for a meeting. I noticed him in the window as I was rushing by. I was intrigued by the fact that such a gorgeous old statue was just kind of carelessly placed in the corner in such a modern motif. I was captivated by his energy and his colors…his deep purple lips and his deep eyes. I decided to postpone my appointment in order to sit with him for a while, to honor his story and shoot the final Image. "May you always be comfortable. May the wind of happiness be behind you. Alternatively, I found "Golden Bridge Buddha," in a more likely place, at Golden Bridge Yoga, in Soho. I had just finished taking a Kundalini yoga class taught by my favorite teacher there, Mia Haber, and there he was in the sacred waiting room. I was captivated by his bright colors and the thousands of tiny cracks on his face. He seemed to resonate the vibration of the Yogic energy of the Studio. He was high up on the top of a very tall bookcase, and he seemed to be looking down as a gentle guardian of the space. I had a hard time getting the angle to shoot him well, but he was worth the climb! The "Buddha of Balance" lives on N. Peters Street in the middle of the French Quarter of New Orleans. In a city that carries so much history, and such pain since Hurricane Sandy, this Buddha spoke to me of Bravery and Balance. He represents patiently holding on through pain, loss, and suffering. As New Orleans is a town that is known for it's unrelenting Spirit, this Buddha's long, somber, patient, and gentle face touched me immediately. Other Buddhas have found me in San Francisco, Seattle, Utah. So often, we can rush past the beauty that is all around us, not noticing it - but is right there! And though it is so wonderful to travel, there is also so much beauty just in our own backyards. For me, that is the joy and passion of the photographic image…when we focus on something we love, we are able to see more and more of it around us. The "Buddha of the New Now," was taken in a garden in Santa Monica, CA. You can feel that He is kissed by the sun and surrounded by green and nature…and His aura represents that to me. He is a giant Buddha statue, and is just the head. He sits over 10 feet tall. My insightful and contemplative yoga teacher, Erich Schiffmann, wrote the quote that accompanies him. To me, this Buddha portrays this gentle softness and yet strength. Surrounded by Nature and holding space for all eternity, this Buddha is about the moment, about gratitude for nature, and about appreciating the NOW. "Blessed Buddha" is a TINY little Buddha statue (no more than 3 inches) that I found in Santa Monica in a Tibetan art store. The owner of the store is a passionate, lovely man, who loved talking about what the Buddha means to him and his own meditative practices. I love the Lichtenstein quality of the "Blessed Buddha." This effect was not something I intended, it is just how he turned out. I love his playfulness, his red lips, and the fact that he is small, but powerful. He is one of my Collectors' all-time favorites. Another favorite is "Buddha of Contentment." I came across him in Topanga, which is a woodsy, "hippy," mountain town just north of Malibu. The city of Topanga is believed to represent sacred energy and healing vibrations. This Buddha is a stone carving that has sat outside in the elements for who knows how long. His face is covered with dirt and weathered from the seasons. He is sitting about 3 feet high and I was drawn to his smile and energy immediately. He just looks so content and satisfied…as if He is obviously in the right place, at the right time. He definitely radiates the vibration of his home, and "all is - as it is meant to be." Which photographers influenced you and how have they influenced your own photography techniques? Greg Gorman: I can feel his love for the people that he photographs. Annie Leibovitz: I love her creativity, her passion, and her courage. Linda McCartney: Her simple and elegant style allowed the candid images to speak for themselves. Do you have any advice for other photographers about choosing what to photograph and how to photograph the best images? What can make the difference between an average photograph and something outstanding? It seems obvious, but I would advise a photographer to choose a subject that they feel passionate about. When you are shooting what you love, it shows in the work. And that is also what makes the difference between an average photo, and a remarkable one. When I see an image, I can feel the energy that has passed between the Artist and the subject. Whether it be the angst of poverty, the joy of childbirth, the love of a couple…these beautiful moments and challenges of life need to be felt in order to be photographed well. The photographer needs to tune into what he/she is shooting. This passion will show in the work. What are some of your favorite travel destinations for relaxation and what are your favorite places for photography? I love to relax in Paris. Paris combines incredible relaxation and culture…the atmosphere just sings life, passion, and love. I love to shoot photos in New York City. The greatest and most alive city in the world, Manhattan breathes creativity, music, poetry, art, culture, and individuality. Can you share recent/current projects and will you be doing another series? The Faces of Peace is just taking off so I am definitely focused on the Buddhas for now. I know that my next series will also include sensitivity and passion, creativity and spirituality. How can our readers become a collector of a "Faces of Peace" Buddha Photograph? You can see and purchase the Buddhas at www.NatalieFordPhotography.com. The images are limited edition, and sold on canvas (wrapped on pine), linen (with bamboo hang), or archival paper (unframed). They can be shipped to anywhere in the world. I'm also prepping another show in Los Angeles for the Fall of 2015, and for one in New York for the Spring, 2016. Any final thoughts that you would like to share with our readers? I am a firm believer that no one can successfully create in a vacuum. It takes a lot of support, encouragement, and love to allow creativity and courage to blossom. 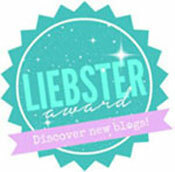 I would love to thank and honor Mary Hanon, Jeffrey Harris, Nicole Buffett, Sheri Giblin, Nancy Loving, and Dora Barrera. Thank you for your interest in my Photos! Thank you, Natalie, for sharing this wonderful Buddha series with us!